| 100 S Paul St.
Helen M. Starr, age 88 of Woodsfield, Ohio passed away peacefully on Sunday June 23, 2013 at Wheeling Hospital. Helen was born July 5, 1924 near Laings to the late H. Clyde and Adda Eddy Norris. She was a graduate of Green Rural High School class of 1942 and worked during WWII at the steel mill in Tiltonsville. On June 22, 1946, she married Roy Starr, who preceded her in death on May 3, 1989. She was also preceded in death by her firstborn granddaughter, Lynnette Starr Thomas August 16, 1994 and siblings, Carroll, Ralph, Rob, and Ed Norris and Velma Norris Roth. She is survived by her sister Alice (Vaughn) Thomas, children Roger (Myrna) Starr, MaryAnn (Charles) Tomlin, Nancy (Charles) Merrill, and Clyde (Nicole) Starr, grandchildren Marcie Starr Sapp, Jenny Starr Thompson, Brian Tomlin, Scott Tomlin, Traci Tomlin Alleman, Ryan Merrill, Shannon Merrill Ferrebee, Sara Merrill Cunningham, Sean Merrill, Colby Starr, Troy Starr and Daniel Starr, and her 20 great-grandchildren along with several nieces, nephew, and friends. 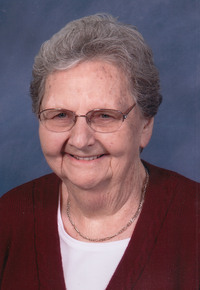 Helen was a devoted member of the Laings Church of Christ, and a loving Wife, Mother and MeMa. Friends will be received 2-8 p.m. Wednesday June 26, at the Bauer-Turner Funeral Home 100 S. Paul St., Woodsfield, Ohio where funeral services will be held 11 a.m. Thursday June 27, 2013 with Evangelist Mark Tonkery officiating. Burial will follow at the Oaklawn Cemetery Woodsfield. Online condolences can be expressed at www.bauerturner.com.